Lance Surety Bonds underwrites union bonds across the U.S.
What Is a Union Bond? 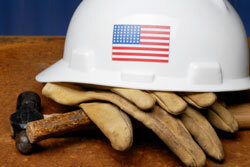 Union bonds, sometimes referred to as “wage and welfare bonds,” are required in cases when a company wants to hire an employee represented by a union. The bond guarantees that the employer will cover all due payments on wages and welfare for the union employee. Union bonds are financial guarantee surety bonds. They work as a contract between three parties. Your company is the principal asked to get bonded. The obligee is the entity requiring the bond, usually the union of the employee. Finally, the surety is the bond underwriter. In case the business does not meet its obligations towards union employees, a claim can be made on the wage and welfare bond. If proven, the company needs to compensate the claimants in full. Because of the direct financial reimbursement involved, union bonds are high-risk. That’s why obtaining them requires posting collateral in most cases. Who needs to obtain a union bond? Are there different types of union bonds? How much does a union bond cost? Can I get a union bond with bad credit? How do I get my union bond? Companies that want to employ people who are members of a union are required to obtain wage and welfare bonds. Often, businesses settle collective agreements with unions about the conditions under which they can hire union members. Usually union bonds are decided on then. Every union sets the conditions and bonding amount individually. While there are different names for union bonds, by and large they serve the same purpose: to protect union workers from non-payment of wages and benefits on the side of their employers. There are some variations between union bonds across the U.S. Each wage and welfare bond is slightly different, as each union decides on the specific conditions to be set in it. The price of your union bond, first and foremost, depends on the surety bond amount required by the union that represents your employees. It is often settled during negotiations between unions and companies, and applies to all workers in that union. Because union bonds are high-risk bonds, your bond price is not calculated the same way as other surety bonds’ cost. There have been numerous cases of claims on wage and welfare bonds, which makes posting a collateral, often 100%, a usual requirement when getting a union bond. Besides the collateral, you need to cover a bond premium, which is a fraction of the surety bond amount. To set your bond premium, your surety will still consider your personal credit score and overall finances. If they are both strong, you are likely to get a lower bond premium in the range of 1%-4% of the bond amount. Regarding the collateral, often it is difficult to avoid posting it. However, if you have long-term relations with your surety, a good history working with them, and strong finances, you might be able to pay only the bond premium and skip the collateral. Lance Surety Bonds works with many of the most prestigious A-rated, T-listed surety bond companies. This gives us the opportunity to offer you bad-credit bonding, even for the high risk union bonds. The usual percentages for applicants with damaged credit or poor financials are between 5%-15% of the bond amount, which is needed to compensate for the risk involved. In most cases, getting a union bond with bad credit also means posting collateral. Still, the bad credit program presents an option for companies that want to work with union employees to get the bond required for this. You can be sure that with us you’re getting top bonding rates and the best conditions on the market. Getting your union bonds with Lance Surety Bonds is an easy and quick process. You can apply online to get your free bond quote in no time. After completing a full bond application, we will deliver your exact bond price. The bonding process can be confusing, so if you have any questions, we are here to help. You can call us at (877) 514-5146 and we will be happy to guide you through. If you’d like to get more detailed information about how bonding works, our How to Get Bonded page is an excellent resource.